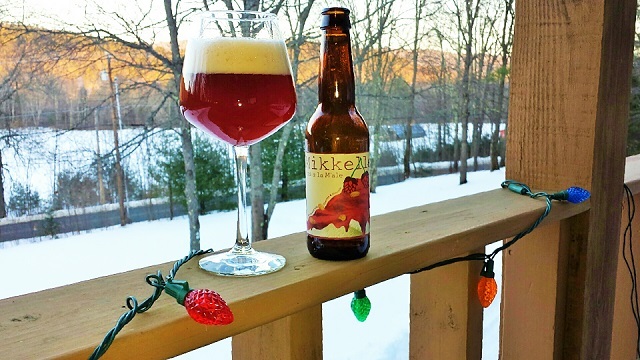 We started this year’s 12 Beers of Christmas roundup referring to Scandinavian Christmas traditions, so why not finish (at last) the same way, and wrap it all up with a pudding? 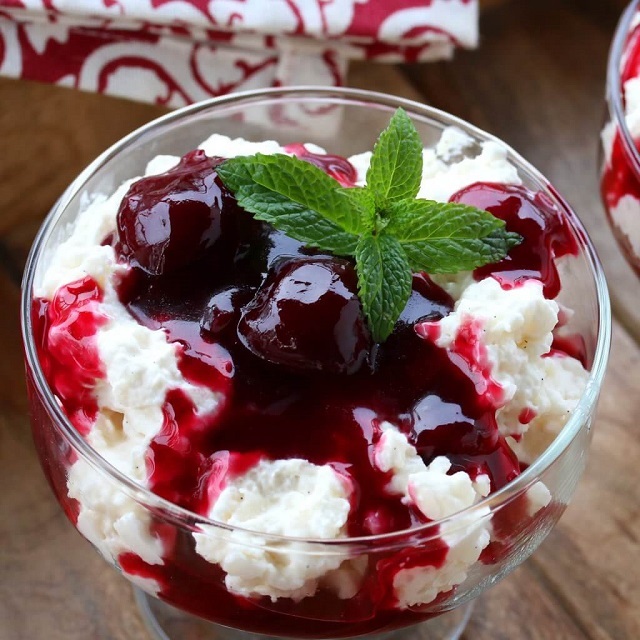 A Danish rice pudding, to be precise, variously called Ris a la Mande or Risalamande, but either way translates to “rice with almonds.” Generally made with vanilla and whipped cream as well as chopped almonds, the pudding is served cold and topped with a cherry sauce. It’s served as dessert on Christmas eve, when most of the Christmas action unfolds in Scandavian. Part of the tradition of Risalamande is to include one whole almond in the mix, and whoever winds up with it wins a small prize of some sort (often some other sweet edible). But tradition also calls for the winner to conceal possession of the whole almond until everyone goes back for Risalamande seconds, or thirds, to try and find it. No wonder Denmark is considered one of the happiest countries on earth. I’m hoping to try the pudding, but meanwhile this version will do. 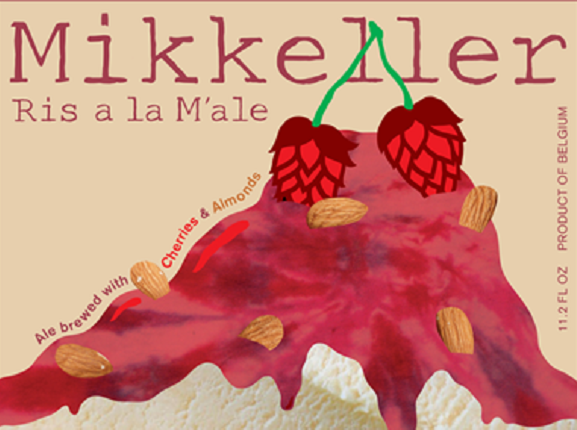 Along with the usual four elements of beer, each ingredient of the dessert is said to be used as well, translated into rice flakes, lactose, vanilla sugar, salt, almond extract and cherries. The beer pours a hazy reddish brown with a copious, creamy ruby-tinged head. The cherries are clearly doing their visual work, and the fruit aromas of the beer are equally abundant. I can’t say I picked up any almond per se, but there is a petit four suggestion to what is decidedly a dessert beer, albeit a strong one at 8% ABV. So I won’t complain about the 11.2-oz bottle. The lasting impression is of cherry tartness rather than anything overly sweet, so the beer might complement the dessert nicely. I was picking up an off-putting metallic note, however, which may have been due to storage more than anything else. The cap on the bottle suggested the beer might profitably age until August of 2020, but too late for that now. Mikkeller makes a six-pack of holiday beers, including Hoppy Lovin’ Christmas which we tippled back in 2013, and some of the history of the company is in that post. They’ve brewed Ris a la M’ale for several years now, this batch, as many of Mikkeller’s brews, at the De Proefbrouwerij in Lochristi, Belgium. All in all, I think they should keep right on doing it.